« And The Woody Guthrie Award Goes To.. Please do not take this amiss but I really can´t see the point you are making. The physics of the PVC shell with an internal energy source, reaching a steady state by radiation from the outer suface seems a fairly trivial exercise. First the outer temperature is fixed by the emissivity, the radiating area and the total energy to be dissipated. This energy is, of course, the same as the internal energy source if a steady state is to be reached. Then the temperature difference between the internal and external temperature is fixed by the conductivity, geometry and the number of Watts to be conducted. It makes no difference whether the internal energy source is a radiant heater, a fan heater or a resistive layer glued to the internal suface. In fact, it could be any combination of these as long as the total Watts supplied is the same. I just cannot imagine why anyone would think that the internal surface emissivity had anything to do with the internal surface temperature. You seem to imply that someone would seek to fix this temperature by using this emissivity together with the Watts/m2 and the Stefan-Boltzmann law. In the case of an internally heated PVC shell this would only be attempted by someone with a very poor grasp of physics and the correct calculation is easily shown. If this PVC shell is supposed to have something to do with the Earth and its atmosphere you need to be clearer on how the analogy is supposed to work. As far as I can see, the internal surface of the shell is also the external surface of the Earth and as neither of the two materials support the transmission of radiation any concept of the shell radiating to the Earth is quite impossible in this model. All I´m getting from this model is that the outside temperature is fixed by radiation to space and the inside temperature is then derived by the temperature difference due to the thermal resistance. This is not dissimilar to what happens in our atmospheric gas shell except that the concept of an outside surface is blurry and the temperature drop across the shell is fixed and not dependant on the actual heat flow. I don´t suppose this is quite the message you intend as you appear to set great store in the concept of back radiation ´warming´the earth. Personally, I think back radiation is very relevant to the energy balance at the Earth´s surface but it is the overall system balance together with the lapse rate that actually sets the surface temperature. At the least, I would argue that the sums are easier if we concentrate on the fate of upwelling radiation rather than trying to mix up/downwelling radiation with convection/evaporation at the surface. This comment is not meant to be adversarial and simply reflects my possibly flawed understanding of the physics. I might be wrong in my interpretation, but I see the conductivity of the shell as somewhat analogous to the greenhouse gas ‘impedance’ to flow of radiation from the surface to space. This isn’t what we observe with Earth’s atmosphere because convection is a parallel process with the Earth’s atmosphere that effective shorts out the greenhouse gas impedance when it exceeds the adiabatic lapse rate. I understand what you mean about ´impedance´ but I have trouble with making a connection to the electrical version in terms of temperature and heat flow when talking about radiation making its way through a thick layer of gas. Not only is there the fact that things depend on the fourth power of temperature, there is also the difficulty of the emission and absorbtion all varying along the length of the resistor. 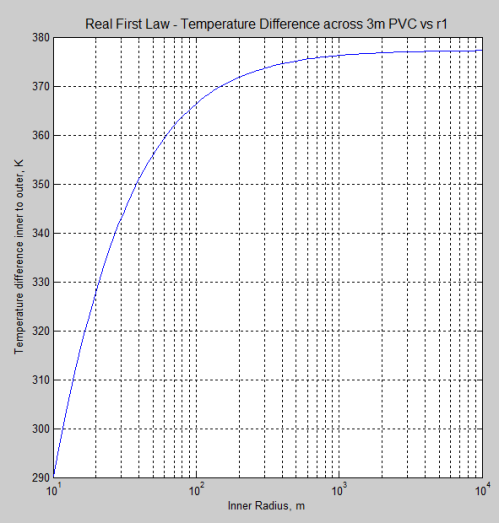 I suppose we could simply define the impedance as the temperature difference divided by the heat flow and hope this relationship is linear for small changes in temperature or heat flow. In any event, I agree that what is observed in the real atmosphere is a linear relationship between temperature and altitude that is not a function of the actual heat flow. I would simulate this by a Zener diode in parallel with a resistive wire. Once the current/heat flow exceeds a certain point the Zener will impose a fixed voltage/ temperature drop. Obviously we can look at the voltage along the wire to mimic the change in temperature. I think the resistive wire is akin to your gas ´impedance´ and the Zener is like the convective short circuit you mentioned. My apologies to all who don´t follow this but electronics is about the only trade I know something about. Once again, it isn’t whether S-B is wrong but whether you use the correct version of it, ie the difference form that takes into account the ambient temperature, which is therefore very much affected by heat flux from convection. There’s little point in being simplistic if doing so removes any link to reality. You may think you can logically separate out the different feedbacks but nature doesn’t. As i said before, it’s perforce an iterative calculation. An interesting discussion of the greenhouse effect is in place on J Curry’s site. You’d learn something from a comment by “Nullius in Verba” about how it is well known in climate science circles (really?) that the back radiation concept has actually been superceded as an explanation of the “Greenhouse” effect by a more modern convective model. Apparently despite this, too many “teachers” still teach the old, discredited model which is inherently nonsensical and wrong. Well this was news to me. No wonder we think you climateers are all confused about real life atmospheric heat transfer: You patently are! JamesG: Back-radiation is still part of the physics– it doesn’t go away just because more complex models are being used to integrate it with convection. No-one working on these models was ever ‘confused’ about this– the older models are not “nonsensical and wrong”. Giving separate treatments of convection and radiation and then combining the results to model the two together is perfectly legitimate; shifting to a model that integrates the two more fully is just a step up in model sophistication, not a transformation of physical understanding that invalidates previous work. I would like to question your statement that the integrated radiation convective model is more complex. I went through many iterations in trying to understand the greenhouse effect. It was extremely difficult to see how to calculate the OLR based on the surface temperature when radiation and convection were treated as separate things. Conversely, it was hard to work out the surface temperature that would lead to a given OLR. It was not until I read the met notes by Rodrigo Caballero that I finally understood how to do the calculations. The critical point is that the lapse rate gives you the temperatures that are essential to working out how outgoing radiation is generated as you go up from the surface to the top. It is not a trivial calculation but I can see that it is doable. There is no complication in handling back radiation or worrying about how much energy is lost by convection. The lapse rate neatly sidesteps all these issues. As I said above, you need to worry about convection and back radiation if you are interested in working out a surface energy balance, but if the important thing is the relationship between surface temperature and OLR they are a side issue. To me the the integrated model seems much simpler rather than more complex as an explanation of why the surface temperature is higher than it would be in an atmosphere without GHGs. Not least, the lapse rate/radiation explanation will put a stop to the interminable questioning about whether back radiation can or does warm the surface of the earth! ..All I´m getting from this model is that the outside temperature is fixed by radiation to space and the inside temperature is then derived by the temperature difference due to the thermal resistance. This is not dissimilar to what happens in our atmospheric gas shell except that the concept of an outside surface is blurry and the temperature drop across the shell is fixed and not dependant on the actual heat flow. The model is not an exact copy of climate system processes and is intended not to be exact. The model has ONE aim. To demonstrate that total internal radiation in a system can be higher than the total energy supplied to the inside of the system. Of course, this is uncontroversial, except for people who somehow don’t understand the subject. They claim “climate science doesn’t understand the first law of thermodynamics because the radiation at the earth’s surface CANNOT be higher than the radiation into space..“. Does this explain the point of the model? I set “great store” by accuracy and scientific understanding. Of course, articles to explain “back radiation” therefore prove I am some champion of a different explanation of the “greenhouse effect”..
And Part Three for explanation about how the energy balance of the climate system works with no reference at all to “back radiation”. Now I am confused again, Surely the nett energy supply from the surface of the earth is the input to the shell and it is this value that has to turn into OLR at the outside of the shell. I think it is the phrase total internal radiation that I don´t really understand. Partly because I don´t follow what this internal space consists of. Is it not the earth itself? If it is just a vacuum then the amount of radiation bouncing from internal surface to internal surface is not very interesting. I think it was established on a previous thread that we can make this an enormous amount simply by making the emissivity of the internal surface very low. I just read the part three explanation and agree totally with it. It seems that we could avoid all the back radiation stuff if we just stuck to that model. Mind you, if we did that you would be redundant! – if it is absorbed by the ocean surface it is promptly re-emitted and can’t affect the temperature of the vast bulk of the ocean to any significant extent. It’s had 11,000 years to try since the end of the last ice age and the deeps are still at 1-2C. Surely we won’t have to carry on paying modelers while we wait that long again for greenhouse? An interesting discussion of the greenhouse effect is in place on J Curry’s site. You’d learn something from a comment by “Nullius in Verba” about how it is well known in climate science circles (really?) that the back radiation concept has actually been superceded as an explanation of the “Greenhouse” effect by a more modern convective model. Apparently despite this, too many “teachers” still teach the old, discredited model which is inherently nonsensical and wrong. “I would like to comment on “when they try to explain it“. In atmospheric physics text books and papers on the subject, when climate scientists “try to explain it” the explanation is correct. Perhaps someone did it incorrectly once, but I haven’t found it yet in any technical publications discussing this subject. Many websites set up to explain to the general public in media-friendly sound-bites probably do explain it badly. Or non-technically. Or completely wrongly. But I believe it is important to differentiate between the two worlds. To criticize how climate scientists describe atmospheric physics based on what NASA or the Met Office explain it via their marketing departments on their public websites seems somehow unfair to me. Or even to criticize how someone technically competent tries to explain a complex technical subject to a non-technical audience by saying “you made it too simple”.. Equally you could say “you made it too complex”.. In any case, the key word in your statement is “Apparently”. Note that no one has actually demonstrated any flawed teaching. It’s just a claim floating around which is made by people who haven’t read any atmospheric physics textbooks. I wonder why tallbloke is commenting on this blog, after accusing me of dishonesty on his own. Those readers interested in that kind of stuff can do a search on this blog for his comments and my responses over a few articles and draw their own conclusion about our respective characters. Let me apologize for not being able to write in Italian. Not so long ago I visited the beautiful country of Italy – Rome and Florence only – and truly it was a marvelous time. There is no place like it. I see a translation by St. Google of the discussion so I cannot be clear what is from Google and what is the writer’s real meaning. 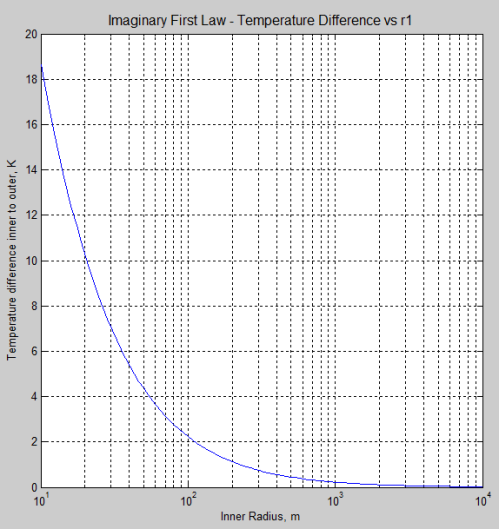 But I would be happy to debate the simple thought experiment I created to explain one simple point about heat transfer. If someone who is bilingual (or close) can volunteer to translate my comments into Italian, and the Italian comments into English then we can discuss. Alternatively, if there is no one reading this blog who is available and bilingual I will be happy to find a translator to facilitate this discussion. I hope the blog writer, Roberto Frigerio, is interested in this idea. I look forward to him explaining which equations are incorrectly applied and/or what errors are there in the calculations. You can read the rest at that blog.